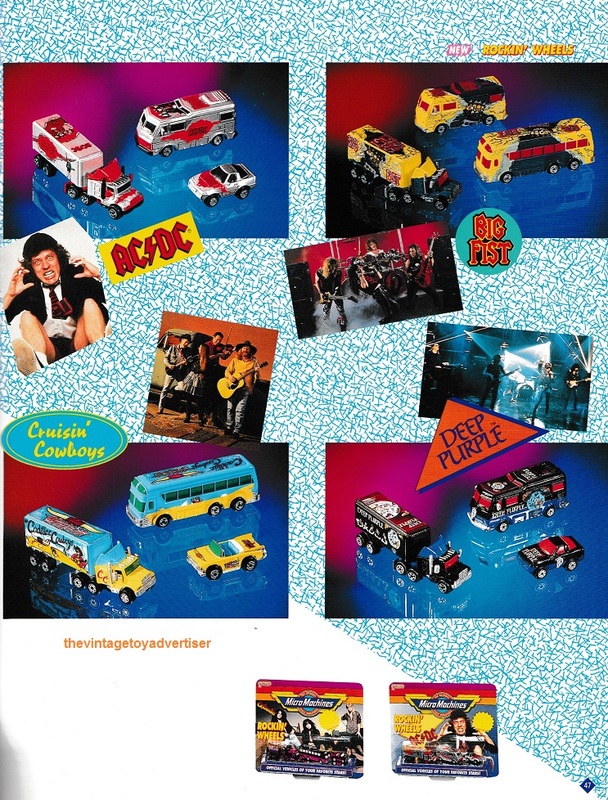 How cool are these Micro Machines official band tour vehicles! AC/DC, Deep Purple, Mötley Crüe, Cinderella … all logo’d up and ready to rock ‘n roll! 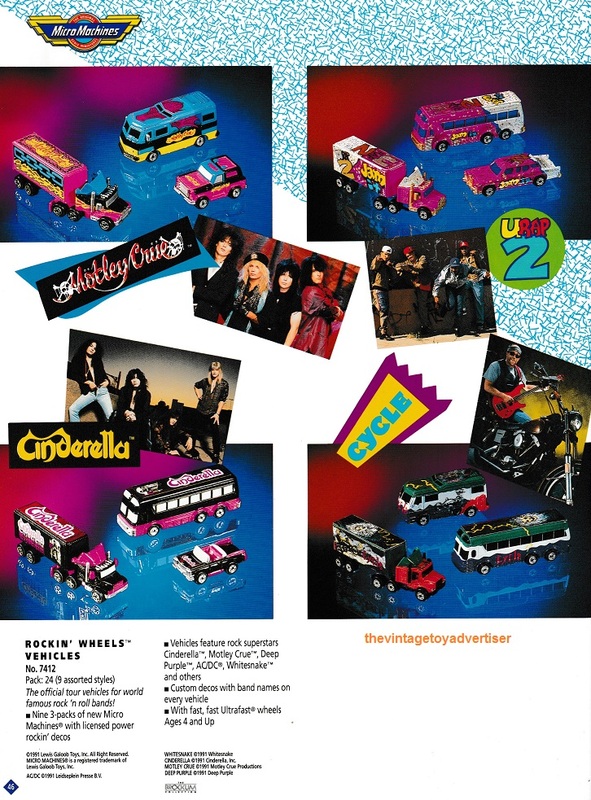 There was also a Whitesnake set released, but this is not shown on the 1992 Galoob catalogue pages I scanned. As for the other bands in the line… never heard of them. 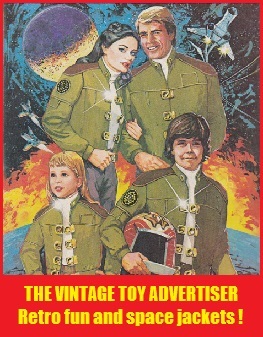 Galoob catalogue. 1992. For some reason the “Cruisin’ Cowboys” vehicles have “Cadillac Cowboys” as their logo. 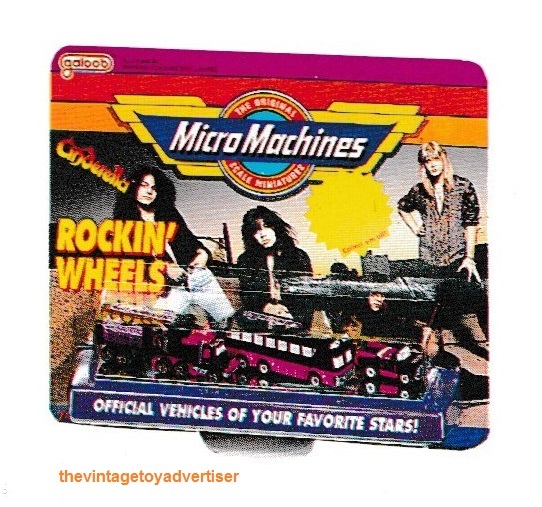 This entry was posted in DIE CAST VEHICLES, MICRO MACHINES, music and tagged 1990s, 1990s toys, AC/DC cars, Cinderella cars, Deep Purple cars, Galoob, Mötley Crüe cars, MICRO MACHINES, Micro Machines rock bands, Micro Machines Rockin' Wheels, music, nostalgia, retro, toys, TVTA on January 17, 2018 by The Vintage Toy Advertiser. 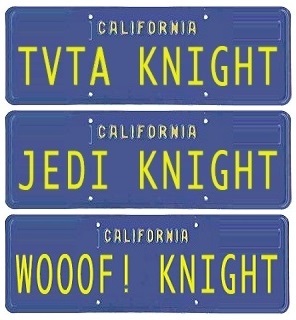 Those are awesome!! I never knew there was such a thing! Hi TVTA, I knew about Micro Machines (I even had a copy of the computer game on my Sega Game Gear!) but I never saw these models. I would have liked them to have made an Iron Maiden themed set had I known about the range! Hi FT. Oh wow an Iron Maiden one would have been so cool. Motorhead too! It’s a brilliant idea FT! To be honest they should just make a Bruce Dickinson Enterprises toyline fullstop… He’s an airline pilot (as you said), singer and songwriter, author, TV presenter, and even a successful beer maker with his ‘Trooper Ale’ line of beers. They have a gift pack of it for sale near where I live and I’m tempted to buy it. The packaging for it is stunning and will make for a good keepsake. I kind you not, I was just listening to a little Cinderella the other day! Ha, I can’t believe it. What are the odds?? 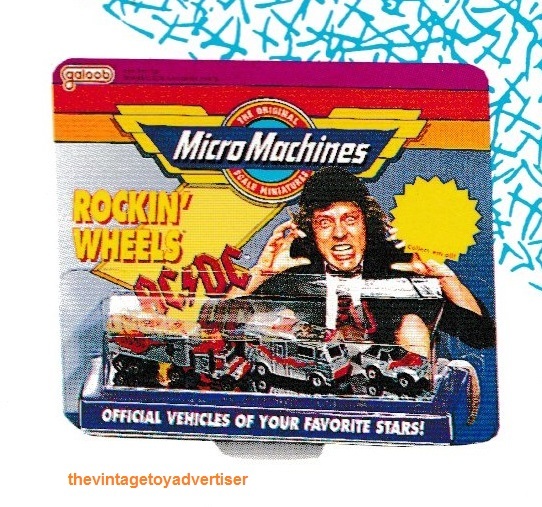 Also, way to go Micro Machines, bringing the heavy metal heat here! I loved micro machines but I don’t remember these. I hadn’t heard of some of these other “bands” either. I had to look into them. As far as I can see they were fake bands created for the toy line. Maybe they didn’t have enough licenses to make the line cost efficient or maybe they had some bands pull their licenses at the last minute? Anyways, great scans as usual my friend! Cheers Rob. Interesting that they maybe made some bands up then. I was beginning to wonder if the Whitesnake set ever made it to production then I finally found a pic of it online. I own all of these sets after many years of searching. I was able to purchase prototypes from an ex-employee of Galoob luckily. The rarest 2 are Cinderella and Whitesnake. My sets are both pre-production sealed samples. I was able to find production sets of Motley Crue, Deep Purple, and ACDC over the years too. In my experience, ACDC is the easiest to find of the rare real bands, but still tough. For actual production, only 1 set of loose vehicles from Whitesnake is known. And only a trailer from Cinderella is known. Both were from error sets originally. I also own a Billy Idol prototype set and a prototype card from Poison. Many thanks for adding the info, and that’s brilliant you have some prototype examples. Interesting that they were thinking of making Billy Idol and Poison sets. 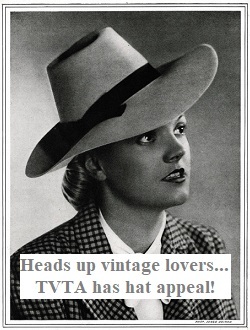 The line definitely has its quirks and mystique – even down to one of the ‘invented’ bands with logo examples seen as either “Cadillac Cowboys” or “Cruisin’ Cowboys”.